Wetherspoon boss and Leaver Tim Martin has branded the Theresa May “quite strange” for her approach to Brexit negotiations and the resulting deal, which was voted down by a majority of 230 on Tuesday. Julia Hartley-Brewer asked Mr Martin if he thought the UK would be in a “very different position” if the Prime Minister was someone who saw Brexit as “an opportunity and not a problem to be dealt with”. “Strangely enough, it was the Remainer Michael Heseltine who threw most light at it for me,” he said. “He was asked if we was surprised Mrs May hadn’t agreed a better deal, and he said, ‘no, I’m not surprised, she’s a Remainer, she doesn’t believe in all this’. “That’s the underlying factor, and she’s surrounded herself with other dyed-in-the-wool Remainers. “If you could speak to her now, what would you say to her?” asked Hartley-Brewer. “I would say, ‘I’m sure you’re a very nice person, but to coin a phrase from 1940, in the name of God, go!’” said the pub boss. Mr Martin also said he was not concerned about the possibility of delays at ports in the event of a no deal Brexit. “I thought it was interesting that the head of Calais port, Jean-Marc Puissesseau, said ‘there will be no delays’,” he said, referring to remarks made by the port chief to the BBC earlier in January, in which he said Calais would be “ready” and would not perform extra checks. Mr Martin continued that it would be the EU, not the UK, who’d “suffer” if imports were stalled. “If there are no delays at Calais, it would be madness for the UK authorities to create some kind of delays in Dover or the Kent ports. 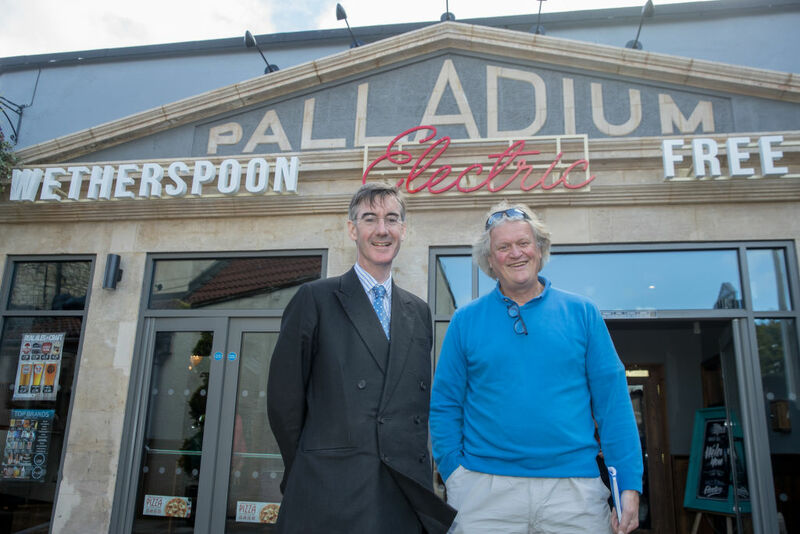 “Wetherspoon did a highly-publicised experiment where we said, ‘everything you buy from the EU, you can buy from the rest of the world’. “So we sacrilegious swapped from the very good French brandy to brandy from Australia. You can’t get further away from that. “All these goods are now sold in our pubs, and are very successful and very good quality. “So that’s the danger for the EU - the economic incentive for EU companies to continue to supply the UK.